Ben is a nationally certified Physician Assistant. He attended the University of Wisconsin for undergraduate studies and graduated with his Masters in Physician Assistant Studies from Pacific University. Prior to his graduate work, he gained experience in orthopedic injuries working as an EMT ski patroller at Mount Bachelor in Bend OR. Currently, he provides orthopedic patient care in the office, hospital, and as a surgical first assist in the operating room. He is a member of the American Academy of Physician Assistants and the Oregon Society of Physician Assistants. 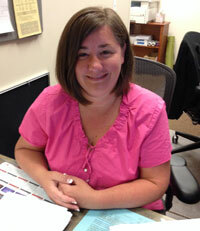 Amanda is our office manager and is responsible for the efficient functioning of the front office. She oversees both the front office and clinical staff in its daily tasks and works diligently to ensure that your experience is seamless and pleasant. 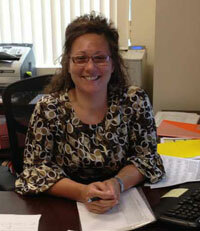 Our goal is for you to have a superior experience with each aspect of our office. Our office is state of the art with a digital electronic medical record allowing instant access to your records, and timely communication with your Primary Care Provider. Digital Imaging (X-ray) is performed at both of our offices so you do not need to wait at a separate imaging facility. Our office staff is compassionate and well versed in the care of the orthopedic patient who often has mobility and pain concerns. We are a part of a larger orthopedic group with 6 physicians and 5 physician assistants that can help with almost all orthopedic conditions, so you don’t need to worry about transferring your medical information should another injury or condition arise. Some lower extremity issues can actually be caused by conditions of the spinal cord or nerves exiting the back. 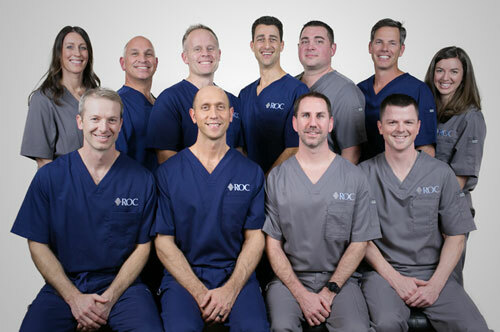 We do not take care of back (spine) related issues at ROC Orthopedic, but work closely with spine surgeons, physiatrists, and pain specialists if you should need a referral.